2013 Aprilia Dorsoduro 750 ABS. Picture credits - Aprilia. Submit more pictures. A completely new motorcycling concept, the result of technological expertise, the courage to believe in innovation and be daring which is Aprilia�s hallmark together with attention paid to motorcyclists� needs and a tendency to look to the future: Mana 850 is a complete motorcycle, the new frontier, the missing link in an evolution that makes the world of motorcycling and its emotions accessible to all types of user. Ask questions Join the 13 Aprilia Dorsoduro 750 ABS discussion group or the general Aprilia discussion group. Rate motorcycles you know and help your fellow riders to find the bike that is right for them. Bikez has the most users and the most extensive motorcycle rating on the net. It includes reliability, design, engine performance, accident risk, repair cost, offroad capabilities, racing track capabilities and touring capabilities. The ratings are also used to rank the 100 most popular MC models each year since 1990. The lists	are adjusted weekly as new ratings are added. 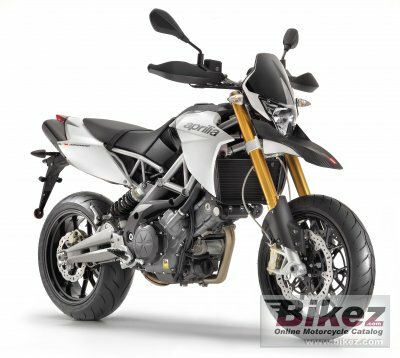 You can check out the rating of the 2013 Aprilia Dorsoduro 750 ABS and compare it to other bikes here.